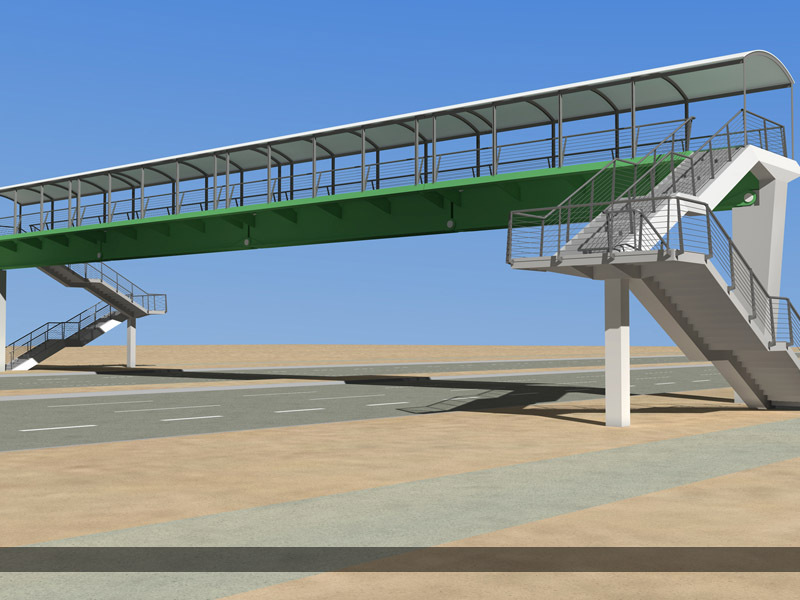 Using the same core components as for our road bridges, a footbridge can be constructed using a single line of standard Unibridge® box girders together with footwalk bearers attached in cantilever. This provides a 3m wide footbridge at spans up to 45m. Footbridges can be launched in to position or lifted in with a crane. This rapid assembly of pre-designed and prefabricated components enables the footbridge superstructure to be constructed very quickly. An anti-skid system is applied to the footbridge decking to provide a suitable wearing surface for a range of traffic uses. Other features are available such as overhead covers to shield users from the weather conditions - please contact Unibridge® Trading with your specific requirements and we can provide a quotation and design proposal.